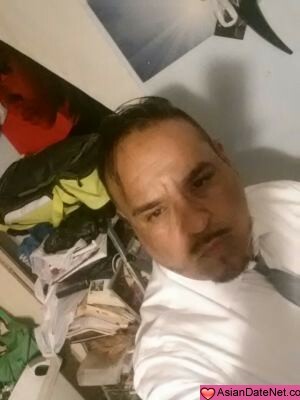 Hi my name is Stasik and Iam a Hispanic Man who is tired of games I need a partner to share my life learn together, Hold hands, talk , go to the movies and may be travel. No lies here, so I will ask the hard questions. Furtheremore, I need a person who is willing to invest a lot of time in the relationship, and who will not ignore me, or who does not go out with a lot of male friends. I have so much love to give, a sweet and kind man, who you can depend on that will never lie or cheat. So If youre sure you can give the time, affection , and love please message me soon. My Ideal partner is a young girl full of energy and love, who is looking for someone to spend her life with. More ideally, a soul partner to share walks on the beach, a glass of wine, to learn maybe go to school, go to a movie, learn to cook as a couple. An active person is most desired, because she would have to relocate to California with me. As far as physical attributes, a slim figure and long black hair, are most liked with a degree of beauty an cooking skills preffered. Iam a very loving and respectual person looking for a serious relationship, no games, no lies, a person who is single, who does not go out with a lot of male friends. Who will be able to send me picture at least 4 times a day with messages. I just got off 9 month engagement, because the started ignoring me, talking to many guys, started lying and would not be open , clear, thruthful an transparant. I have so much love to give to the one phillipine girl who will be my Queen.